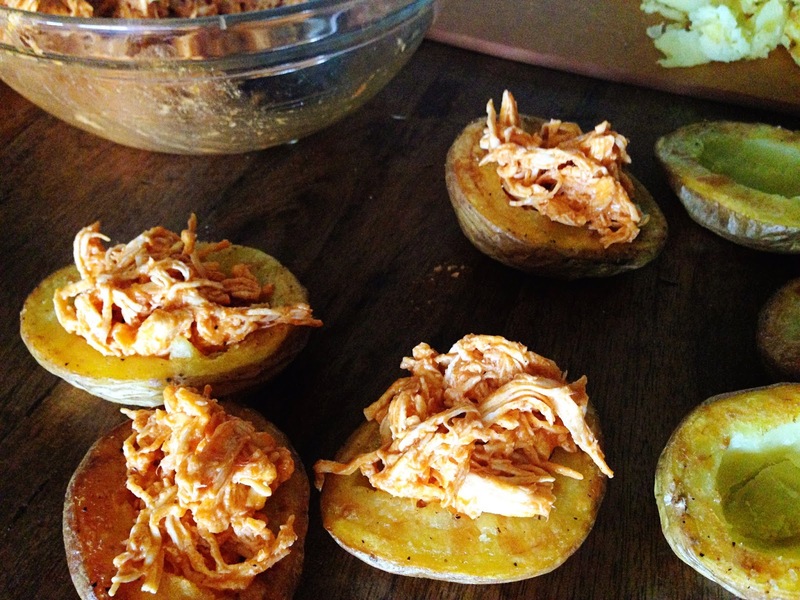 Still looking to add some yummy snacks to your football feast this Sunday? You should definitely try my twist on the average chicken wings. I am a potato lover. 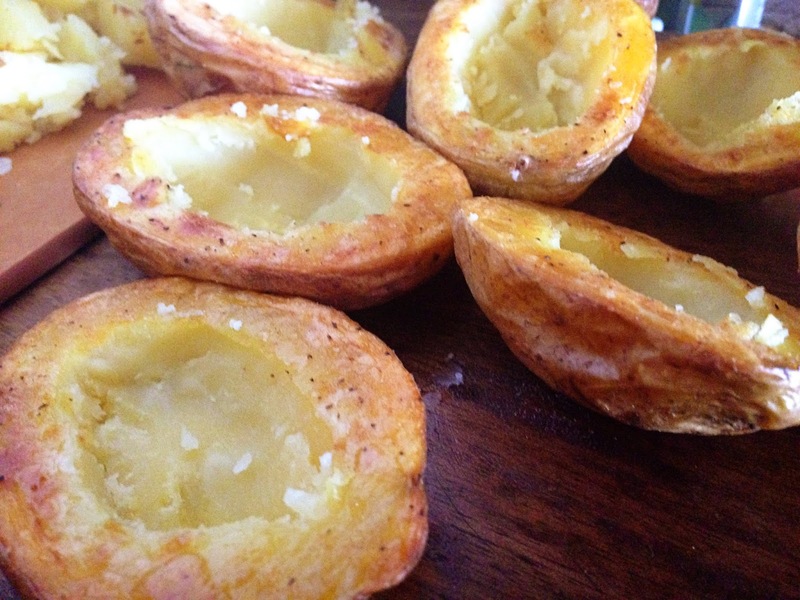 These buttery little potatoes melt in your mouth. 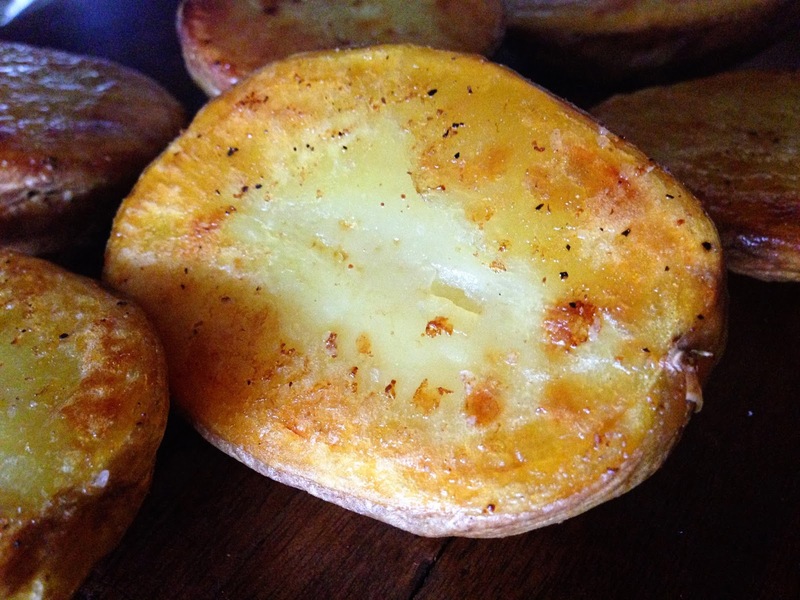 They are not fried like many versions of potato skins, they are baked! Don't worry though, they still come out with crisp skin and edges. Piled high with shredded buffalo chicken and ooey gooey pepperjack cheese and topped off with celery bits and blue cheese dressing. These are a football fans fantasy. Shred the boiled chicken. 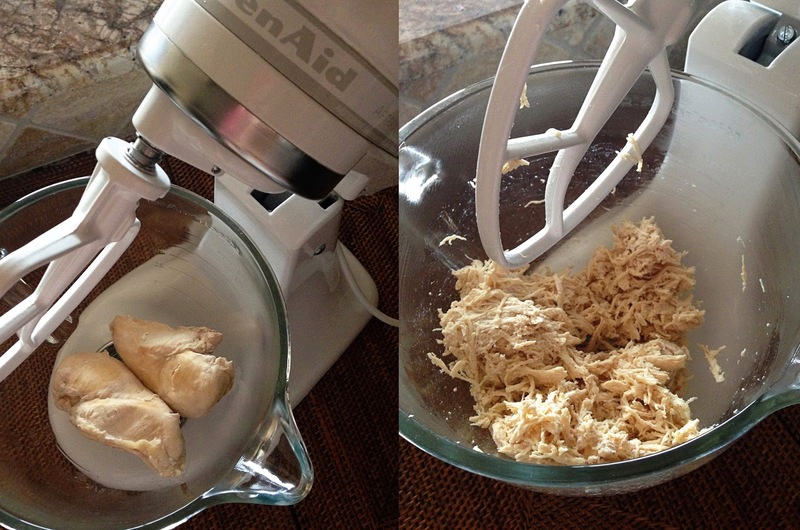 You can use 2 forks...however, if you have a stand mixer, you can connect your paddle blade attachment and set your machine to low and you will get perfect shredded chicken! Lightly salt and pepper the shredded chicken and toss in the wing sauce. Set aside. Preheat the oven to 400 degrees. Cut the potatoes in half. Drizzle olive oil on a baking sheet lined with foil. Sprinkle baking sheet with salt, pepper and granulated garlic. Place the potatoes face down in the olive oil and slide them around in a circular motion just a bit to ensure that olive oil coats the cut side of the potato. 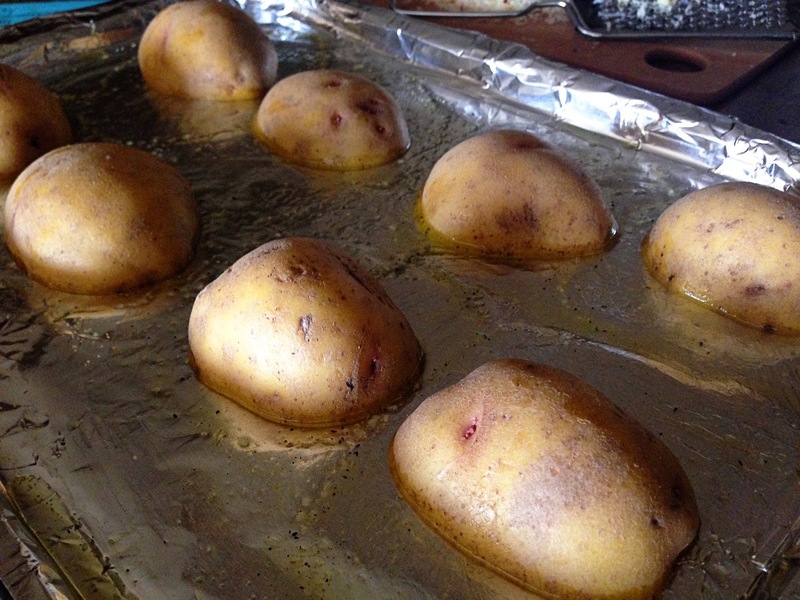 Place in the oven and bake for 45 minutes to an hour (depending on the size of your potatoes). When they are done, the skin will be crisp and the cut side will have formed a crispy crust. Use a knife to cut through the crust in a circle (the area you will scoop out) so that the crust does not all pull off when you remove the flesh. 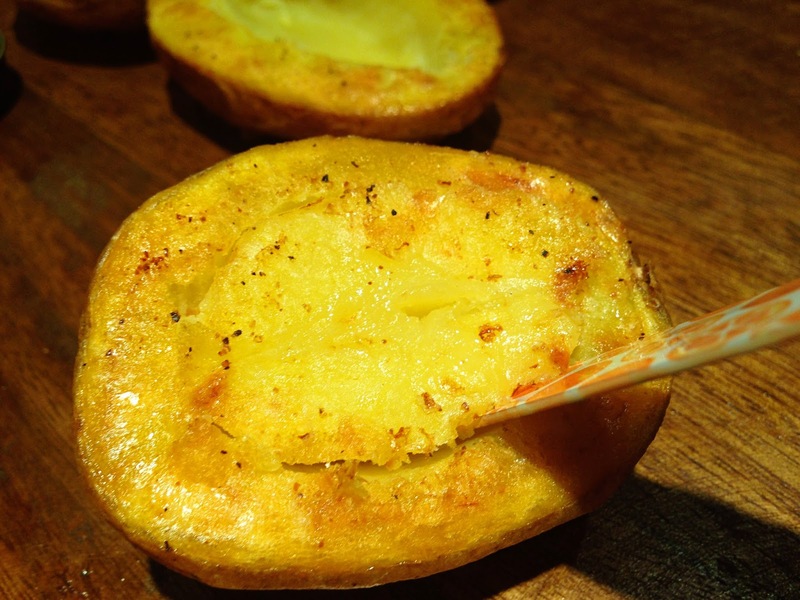 Use a spoon to scoop out most of the flesh of the potato. Do not remove it all to allow the potato to keep some structure. Just focus on creating a bowl for your toppings. Save the scooped out flesh! 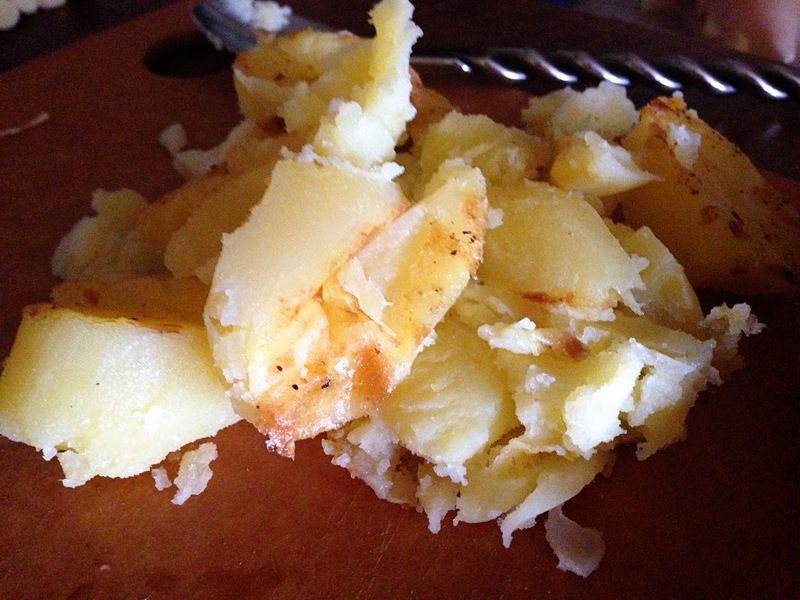 You can use it later for mashed potatoes or a baked potato casserole side dish. 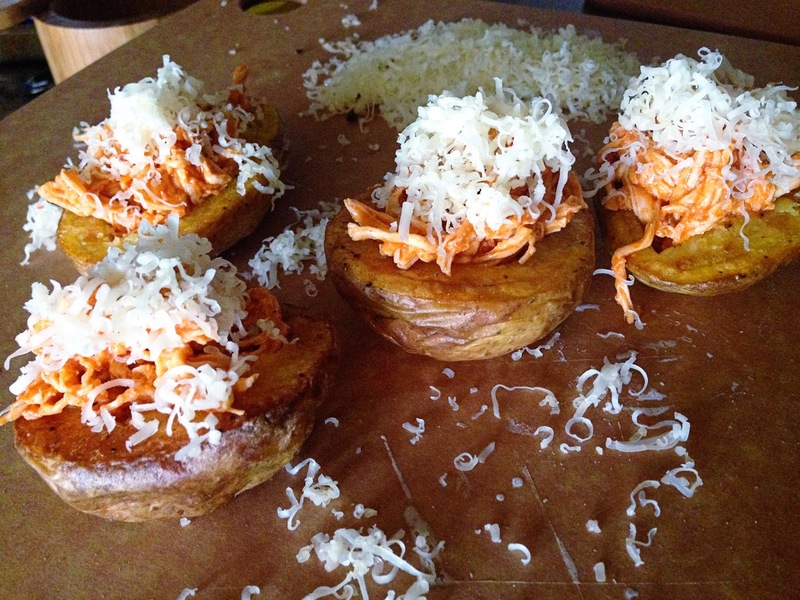 Fill the "bowl" you created with the buffalo chicken. Pile a good amount of pepperjack cheese on each one.Use the same foil-lined baking sheet and pop these bad boys back in the oven just long enough to melt the cheese but not make it disappear. 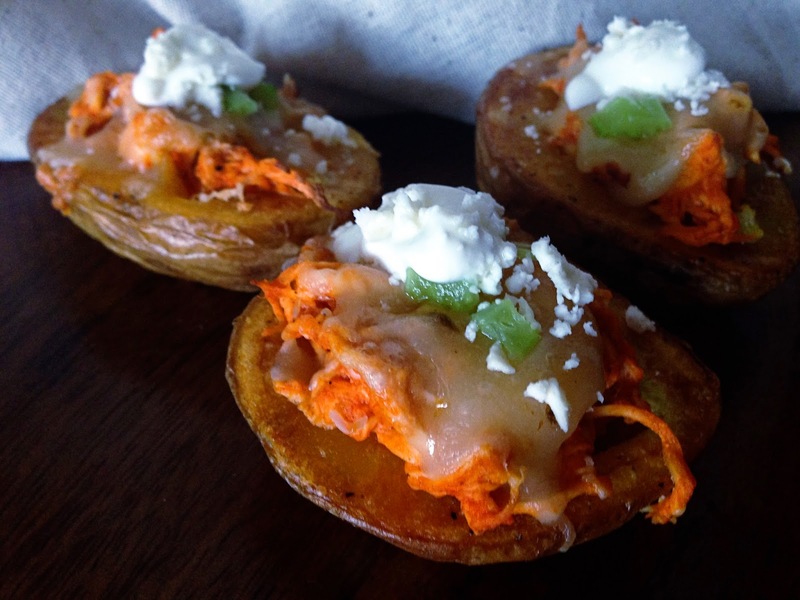 Top your potato skins with bits of diced celery, a dollop of bleu cheese dressing and bits of crumbled bleu cheese and Viola! Enjoy these little guys! For a nose reconstruction, for example, the surgeon would be required to harvest a graft that includes supportive cartilage tissue along with the skin layers.